The Benefits of Reusable Swim Nappies! One of the most important policies Aquatots Swimming has is ‘double bagging’ your child! This simply means that every infant that swims with us that is not 100% toilet trained is expected to wear a swim nappy (either washable or disposable) underneath a neoprene over-nappy. ‘Freebies’….a word that can make people very suspicious – can you really get Something for Nothing? At Aquatots we have a core belief – ‘If YOU are happy then we are happy’! This is why FOUR times a year we offer completely FREE, no strings attached Baby Swimming Taster Sessions. They are not a gimmick or a stunt to trap you, there is not a sales person hiding in the changing rooms to encourage you to sign up to a full course or a hidden cost of the Taster Session if you decide not to start your baby swimming with Aquatots. They are simply our way of giving you and your baby the opportunity to experience what we can do and more importantly allowing you to decide if you like it. Your baby starts their journey with Aquatots somewhere between 8 weeks and 18 months old and they begin at our Duckling level. We want you and your child to really enjoy your weekly lesson. We strive to make each session varied, interesting yet informative and most importantly productive! During the first term with us we are going to be teaching you and your baby 28 exercises – this is why our courses are not a “drop in”. We need the structure of the course especially in this important Duckling level, to teach your child the abilities they will need to continue on to learn the skills to save their own life and then later in swimming widths and then lengths of the pool. By the end of the Duckling course your baby will have done at least 5 submersions in one lesson. They will be using their instincts and Mammalian Dive Reflex under the water to build confidence levels and learning new skills above water that will help them with exercises in later levels as well as out of the water i.e ‘holding on’. The Duckling level is such an important starter point and we do encourage the same person to take baby swimming throughout this course as it is as much about the parent/guardian learning as the child! Lynn is an Aquatots Mum, she has been bringing her 10 month old daughter Libby to lessons for five months and is progressing up the levels as expected but Lynn is no ordinary Mum, she is registered disabled. Lynn has a mixture of orthopaedic conditions, the main conditions are bilateral acetabular and femoral dysplasia which means her hip sockets and femurs didn’t develop properly as she was growing. She also have scoliosis which is a curvature of the spine and some disk degeneration. 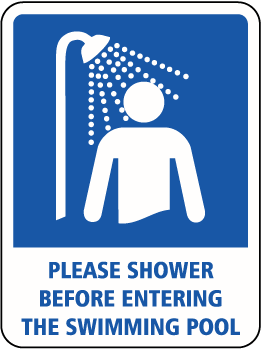 Showering before swimming – the reasons why! Showering before jumping into water sounds a bit of a contradiction doesn’t it yet here at Aquatots we request you do it before every lesson.